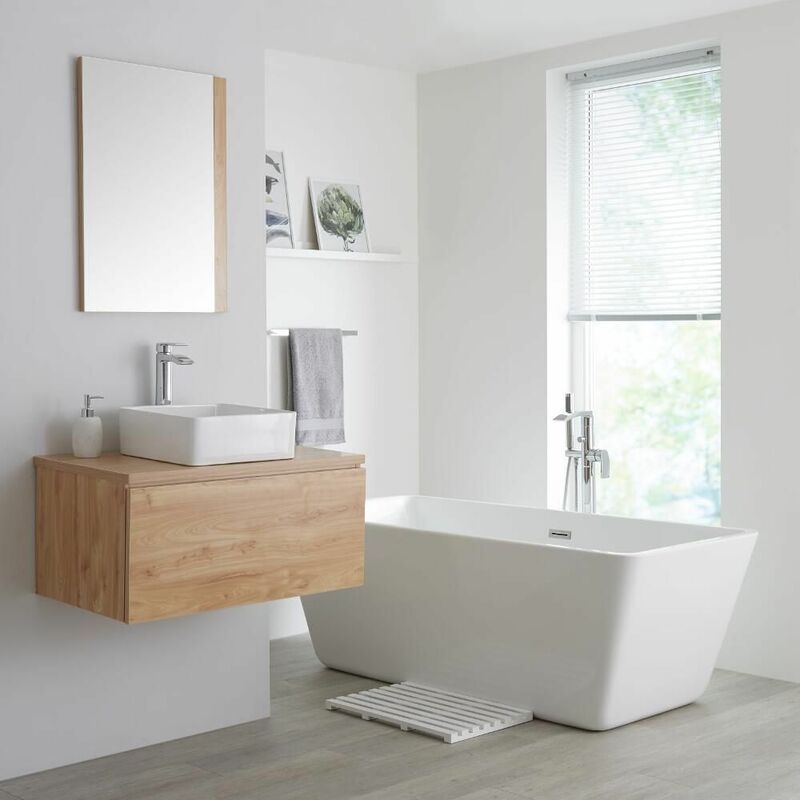 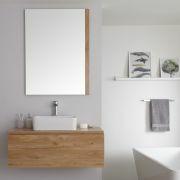 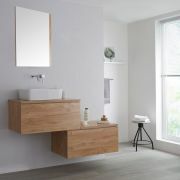 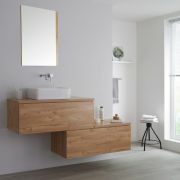 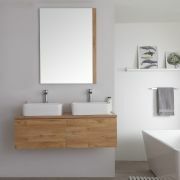 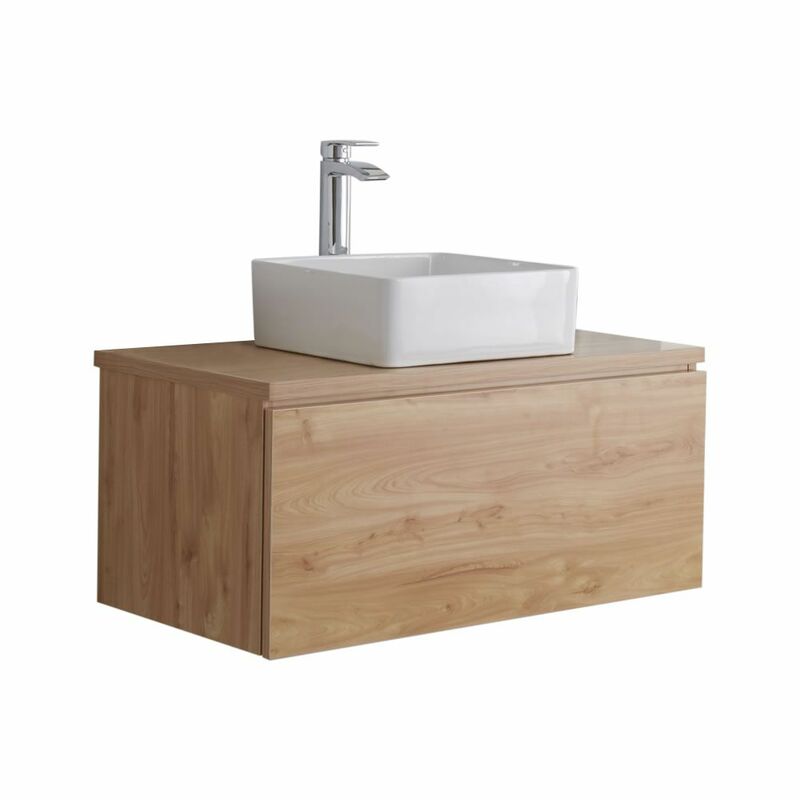 Bring a chic, contemporary look to your bathroom with the wall-mounted Milano Oxley 800mm vanity unit and basin. 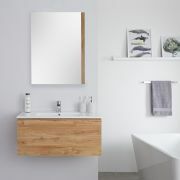 An attractive golden oak woodgrain effect finish creates a stylish look and the moisture resistant engineered wood construction offers the strength and long-lasting durability that you need. 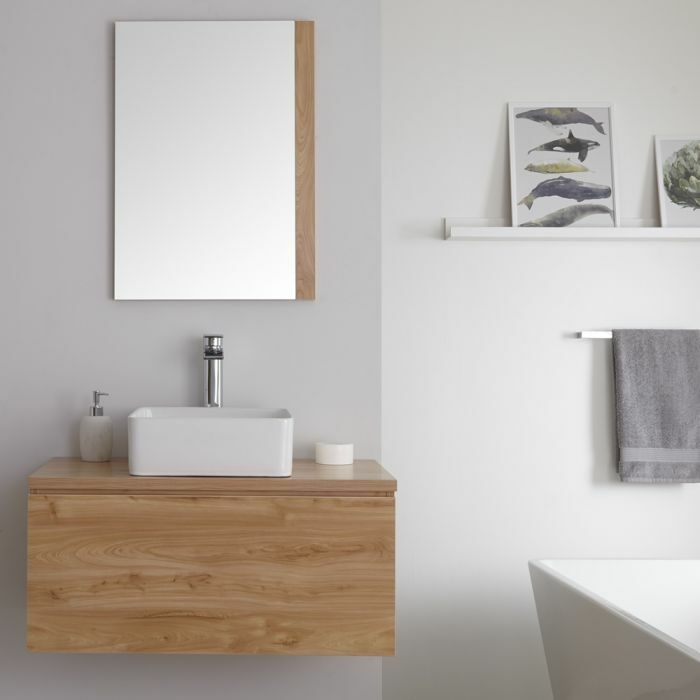 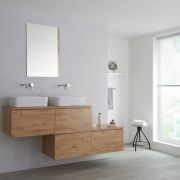 Featuring a generous push to open soft close drawer to allow you to store your bathroom essentials neatly out of sight to maintain a minimalist look, the Oxley vanity unit is functional as well as eye-catching. 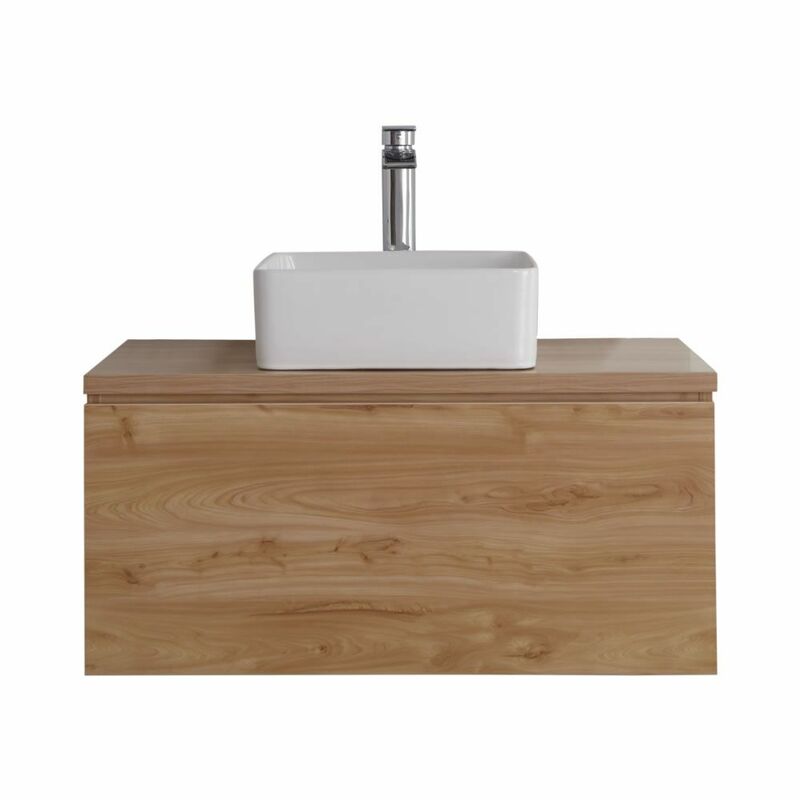 The look is completed by a sleek rectangular countertop basin, made from high quality ceramic and finished with an easy to clean white glaze. 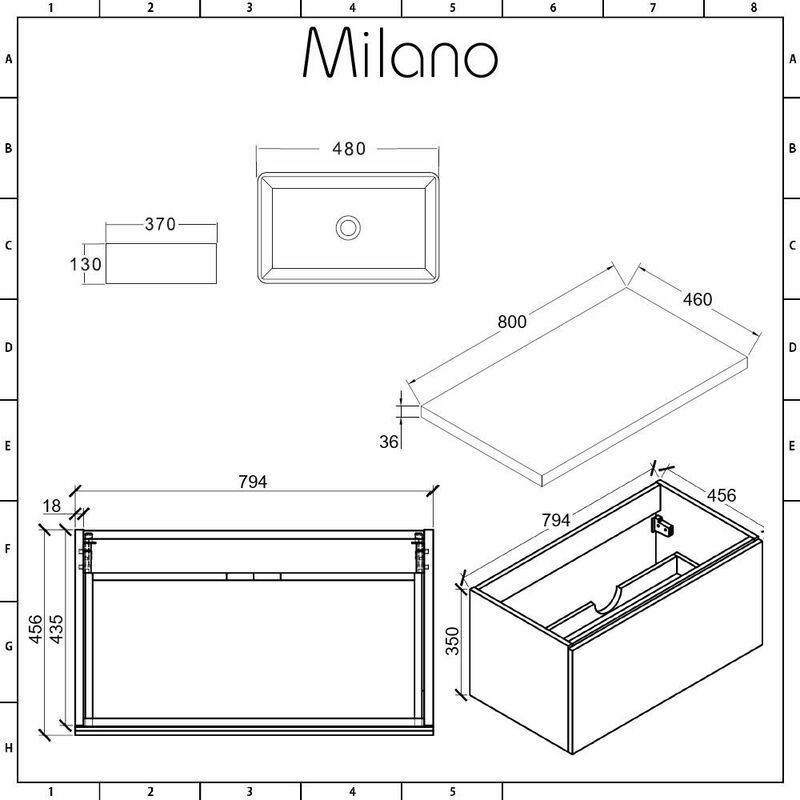 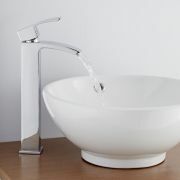 The basin is not fitted with a tap-hole so is compatible with any of the wall-mounted or high-rise taps in our range.